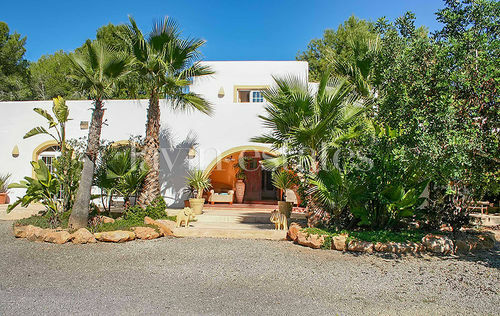 This magnificent luxury residence with main- and guest house is situated frontline to the sea in Cala Jondal, one of the most exclusive areas on Ibiza and enjoys a spectacular panoramic sea view. 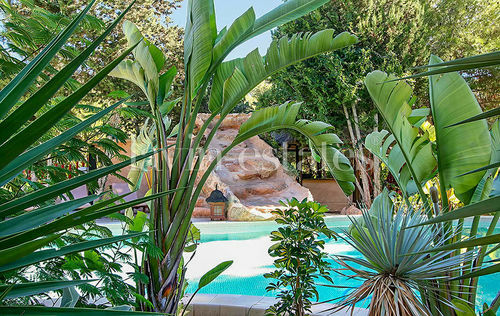 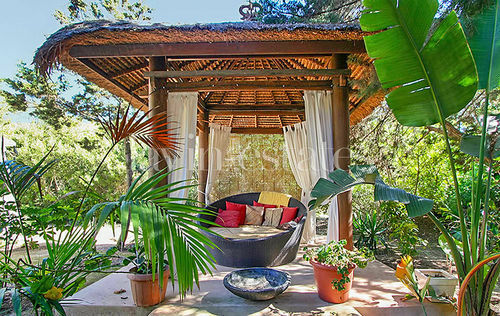 Set on a plot of 17.600m2, the property has a living space of 564m2, several open and covered sun terraces, a lovely well-kept garden, two fantastic swimming pools, a separate guest house as well as a private sea access. 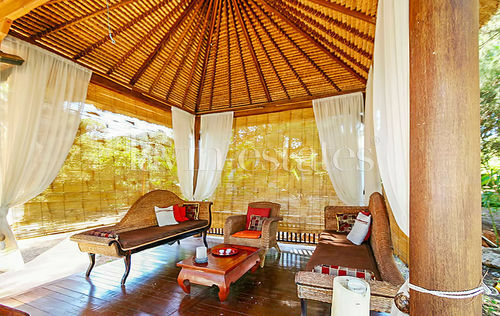 The living area of the main house is divided into a generous living room with fireplace, a dining room, a fully fitted kitchen, a laundry, a storage room, a guest toilet as well as four bedrooms, all of them with bath en suite. 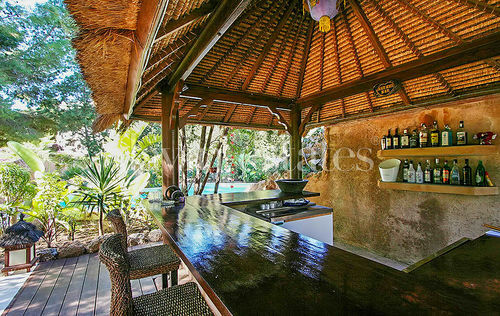 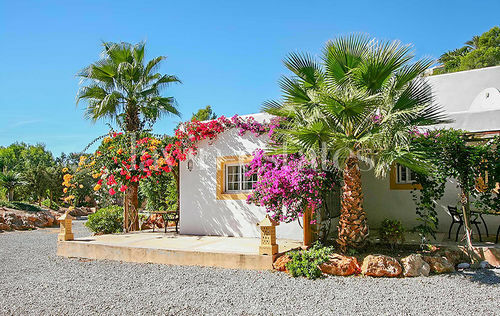 The separate guest house is equipped with a living room with fireplace, a fully fitted kitchen, a guest toilet, two bedrooms, two bathrooms as well as its own swimming pool. 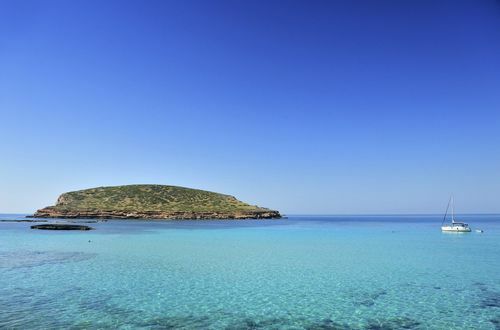 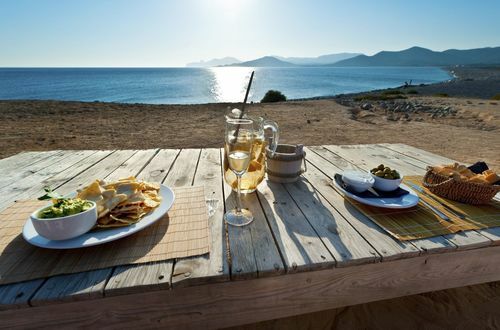 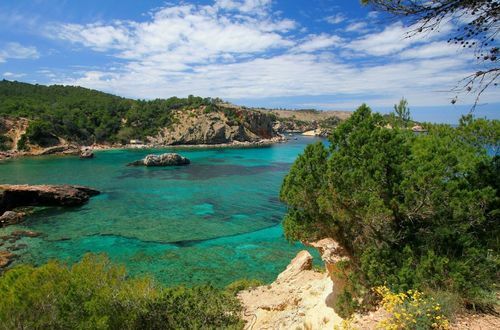 Ibiza Town with its exquisite restaurants, bars and shops is also only a 20 minutes car ride away.